Resistance: Fall of Man, Motorstorm, Warhawk, Call of Duty 3, Fight Night and Need For Speed: Carbon will be the first to join Sony's Greatest Hits for PlayStation 3. 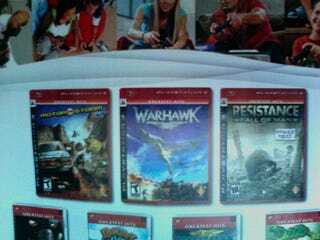 Similar to the program the company had on PS2, these are older PS3 titles that will now sell for $30. It's just as we reported earlier based on some shots from an old Kmart catalog.